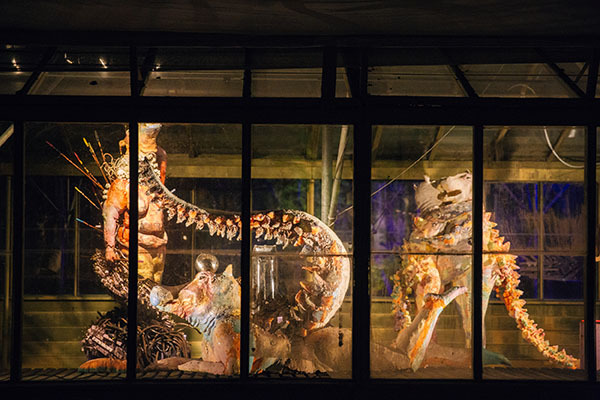 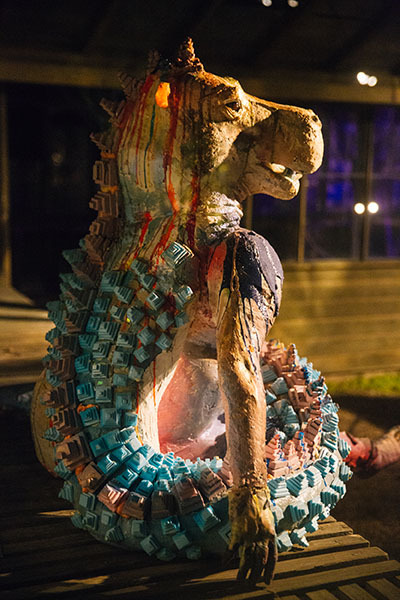 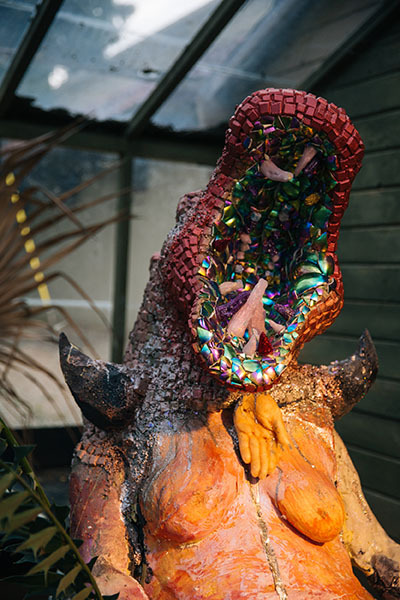 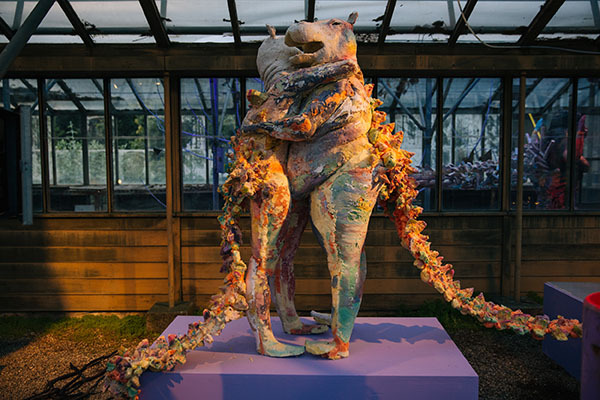 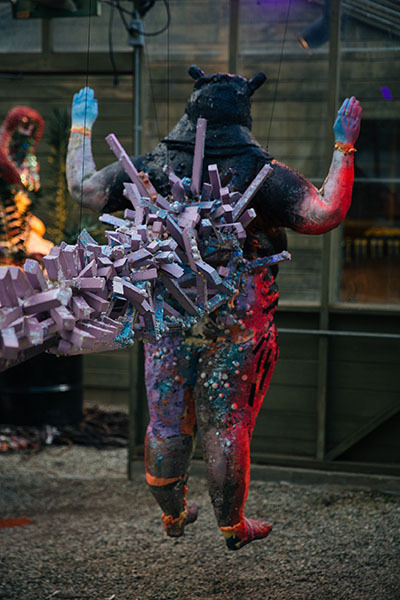 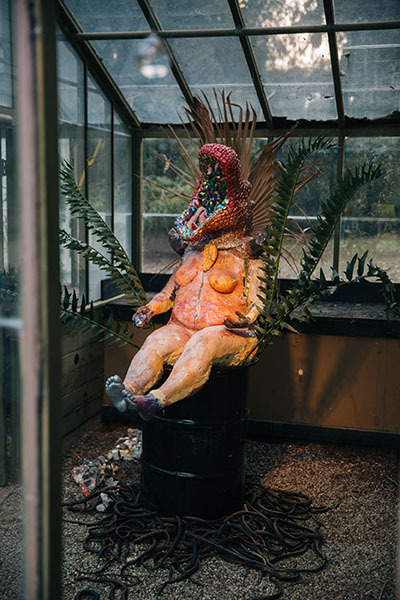 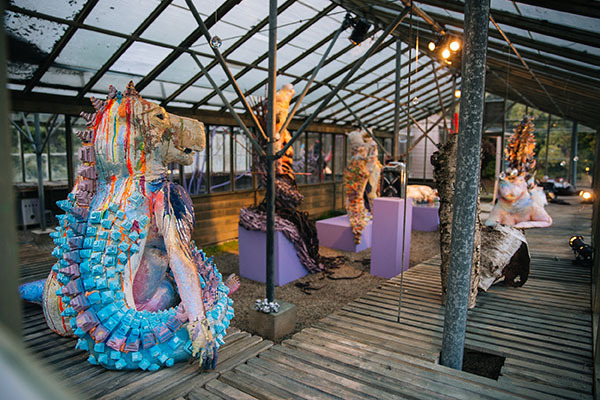 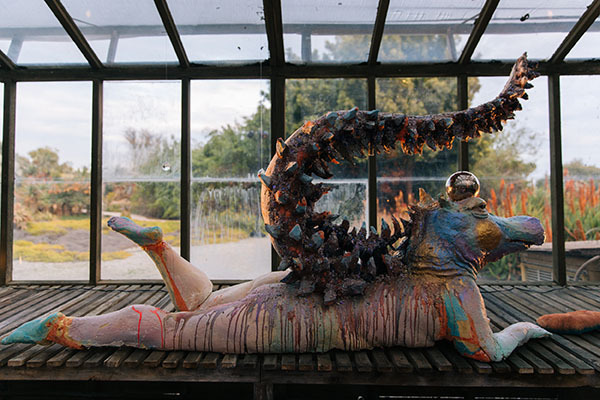 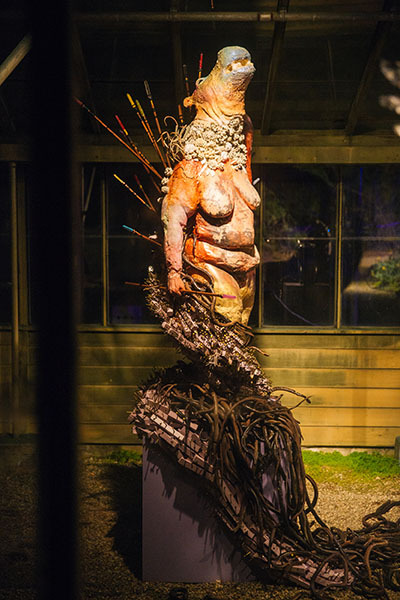 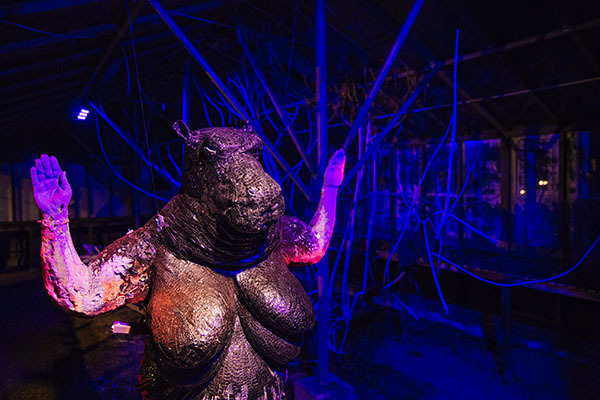 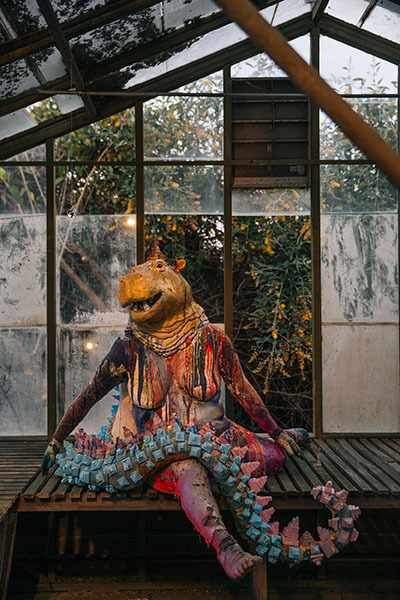 Solar Mothers is a sculptural installation located inside a decommissioned greenhouse once used in the 1960’s for smog and air pollution testing. 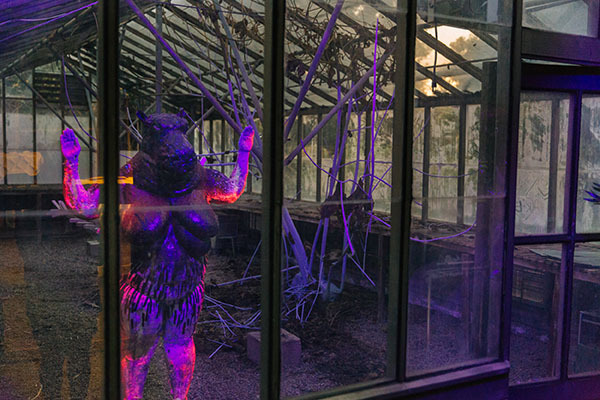 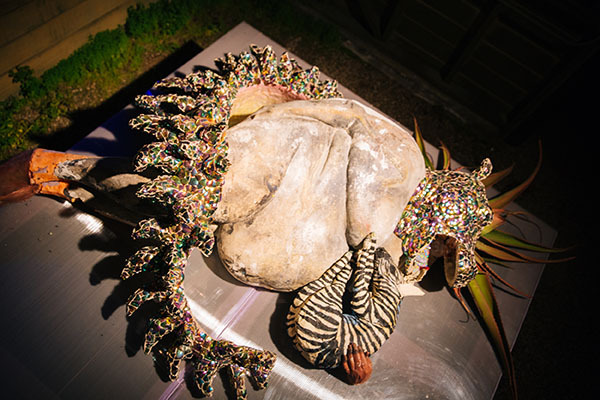 The structure has been sitting eerily vacant for decades, a ruin made of broken glass and rotting wood standing in middle of the LA Arboretum’s fantastical lush grounds. 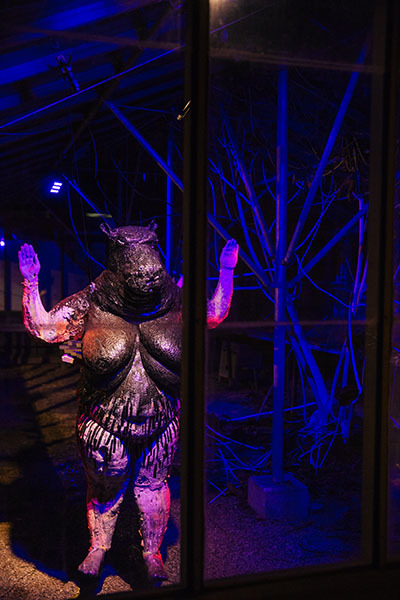 The piece consists of 8 life size figurative sculptures referencing the Egyptian Goddess Taweret and her sisters- known as The Solar Mothers. 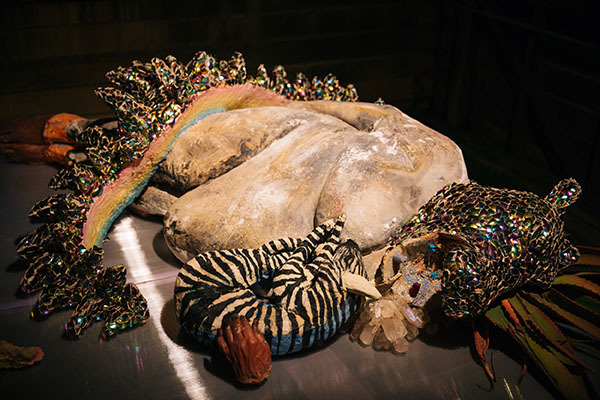 These Goddesses are believed to be the protectors of newborns and birthing mothers of all species, as well as the birth of the sun over the horizon every morning. 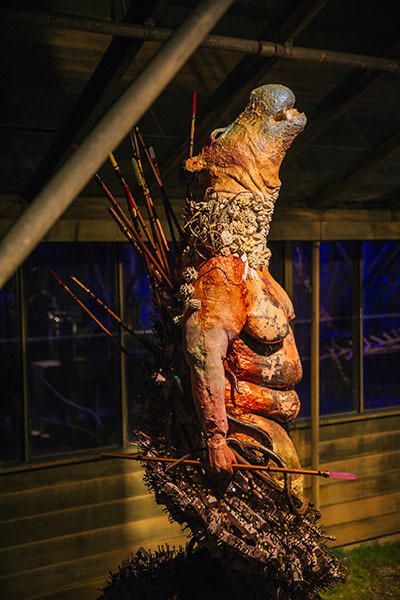 These multi specie creatures embody the head of a hippo, the tail of a dinosaur, and the cast body of powerful women who I love and admire.